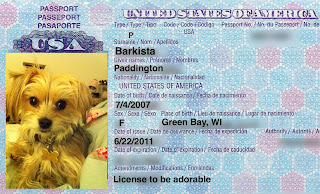 Barkzilla: A Savvy NYC Dog Blog: Passports for Pets? Here in the UK we've had a Pet Passport scheme for several years. 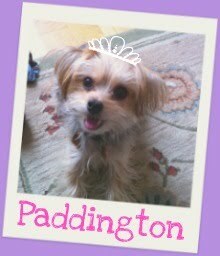 Our little yorkie has her own official looking passport, similar to the UK people passport, with her photo, vaccination record (including rabies which she has to have for overseas travel) etc. It's renewable via her vet every two years and has to accompany her every time she leaves the UK. OMD. Love this-- would love to see a pic of your pup's passport, it sounds just too cute to be true! Does your Yorkie get stamps in it every time she travels? I'll dig it out and take a photo. She doesn't get it stamped going out of the UK, but before she returns she has to have a vet check and he stamps it to confirm that she is fit and well to return to the UK. We have no rabies in the UK, but it is widespread in Europe and beyond, so our Pet Passport controls are in place to keep it out. Dogs can only get a passport if they are fully rabies vaccinated. It doesn't stop stupid people trying to smuggle animals into the UK though.... despite the fact that if they're caught they are subject to massive fines and/or imprisonment. Lucy gets her passport checked thoroughly when she comes back into the UK from abroad, but they don't even glance at ours!